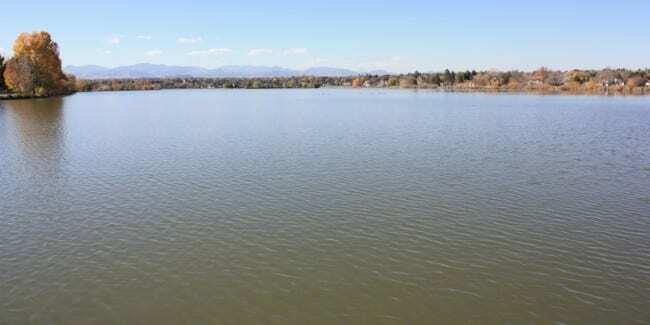 Sloan’s Lake is the biggest lake in Denver, and at 177 acres, it’s the city’s second largest park. It’s one of the best parks for catching a sunset, with stunning views of the Rocky Mountains and Denver skyline. Each July Sloan’s Lake hosts the Colorado Dragon Boat Festival, which is billed as one of the state’s best. It’s two days of ancient Chinese dragon boat races. Before the 1860’s there was no lake, only a road that connected Denver to Golden. Thomas Sloan received a patent for the land in 1866 and used it to raise cattle and farm. He dug a well and accidentally tapped into an underground aquifer sometime in the 1860’s. This flooded his farm and eventually turned into Sloan’s Lake, or Sloan’s Leak as it would be called. From 1881 to 1908, an amusement park known as Manhattan Beach, operated on shores of the lake. Biking/Hiking – A biker and pedestrian friendly 2.8 mile paved path circles the lake. Boating – Power boats and water skiing are permitted. Fishing – Permitted everywhere but the channel between the island and shore. Picnicking – There are numerous picnic tables and a sheltered picnic area.